A black and white negative of an unidentified baby sitting on a blanket on the sand in Palm Beach, Florida. 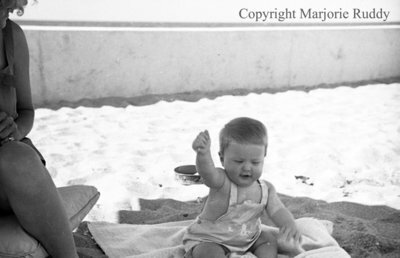 Unidentified Baby on a Beach, January 24, 1939, Marjorie Ruddy. Whitby Archives A2013_040_881A.